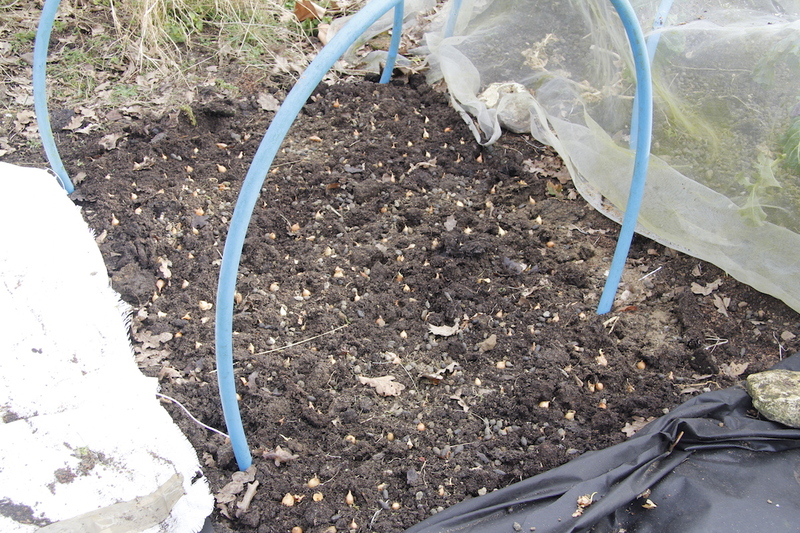 I have made a start in the garden and last weekend planted out my onions and garlic. Of course since then it hasn’t rained at all! 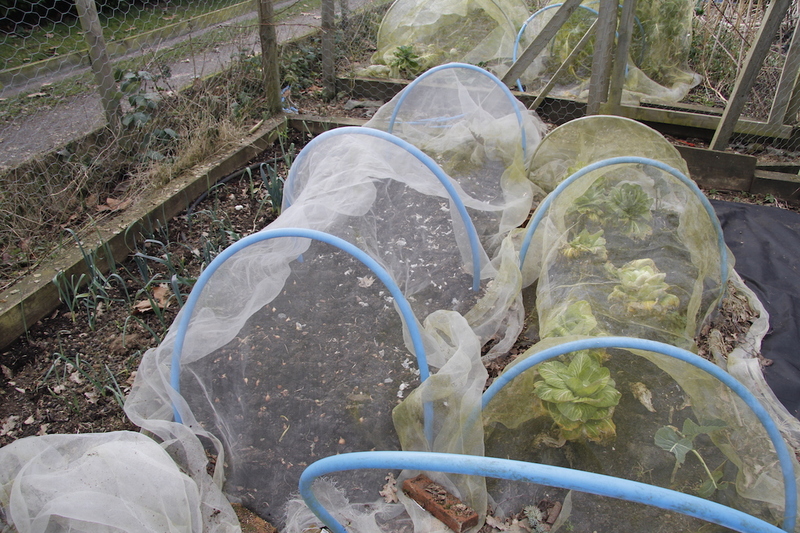 I cover the onions and garlic (and greens etc) with enviromesh to stop the birds helping themselves to them. I have also been planting salad stuff and herbs (radishes, rocket, lettuce, spring onions, dill, coriander and basil etc) in the greenhouse – direct in the soil. This is an experiment. I am hoping to get a crop before it is time to transplant the tomatoes and cucumbers outside. 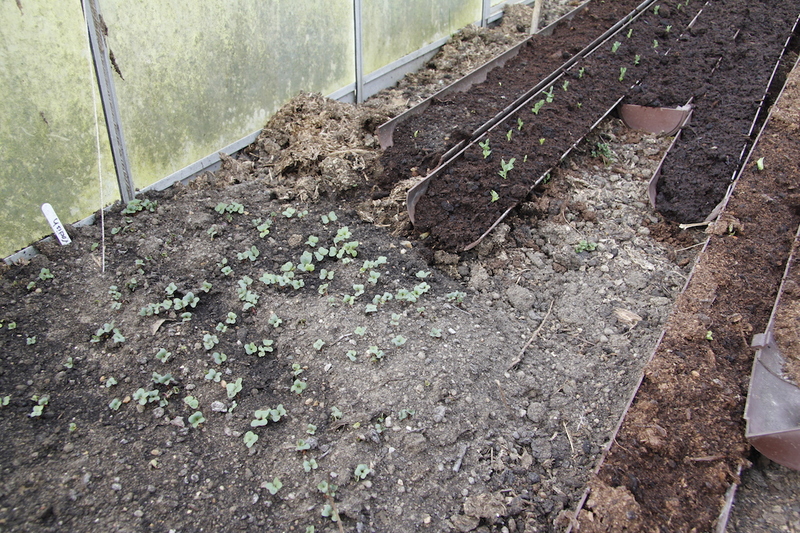 The radishes have already come up and I think I can see signs of tiny lettuces. 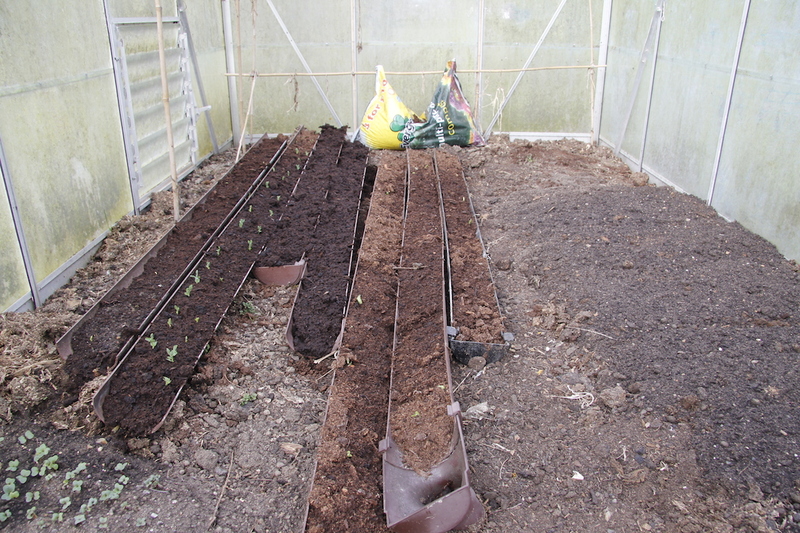 The mangetout and the broadbeans have started to sprout so that is good. 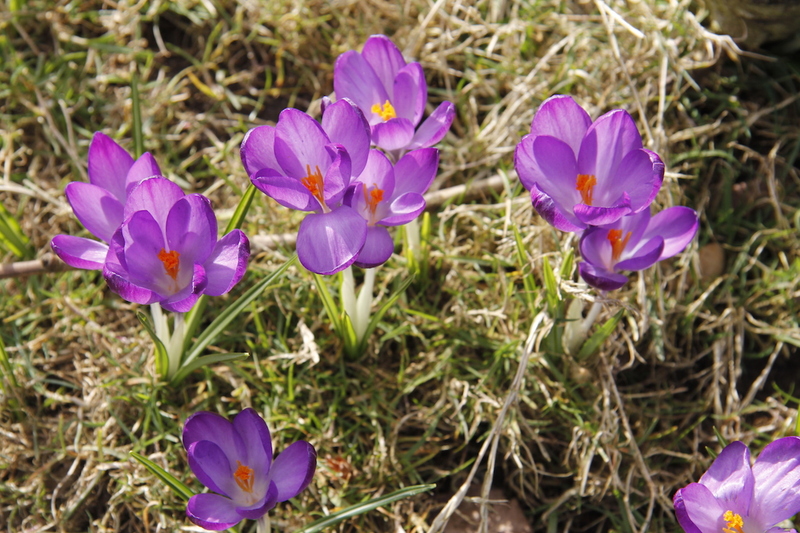 The crocuses are also flowering – spring must be nearly here! 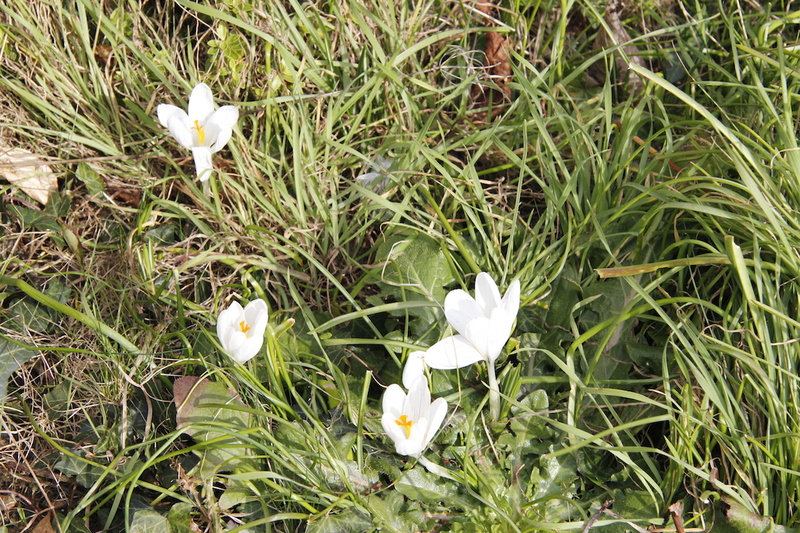 Hey, Claire…what are the 1/2 rounds that you have planted seeds in in the greenhouse? They look like gutters. What’s the advantage of using these? 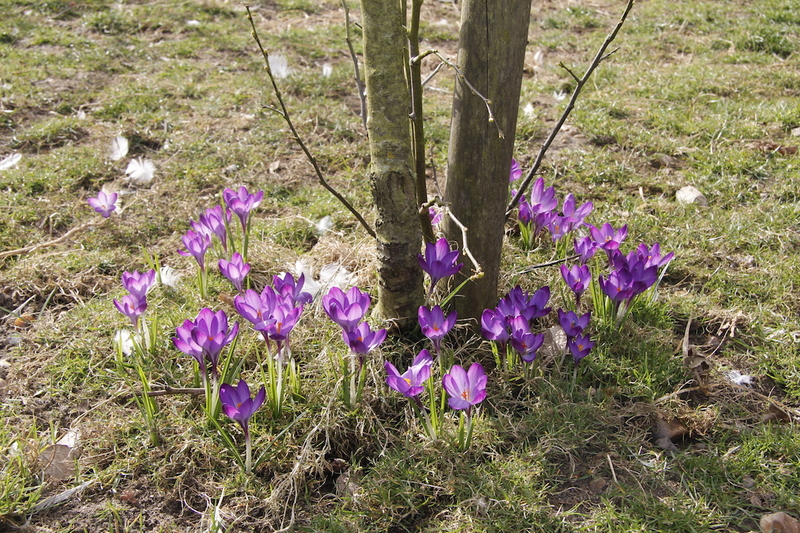 What veggies can be planted in these whose root systems can manage that limited space? Always looking for ideas for simplifying our gardening.